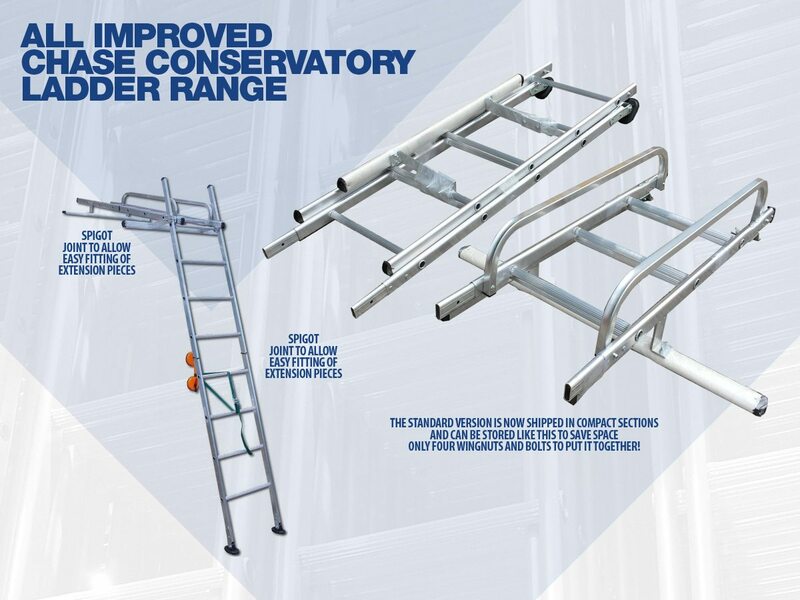 In response to invaluable feedback from our customers we have introduced an important new feature in our standard conservatory ladder design. Both ladder sections now include spigot joints to allow easy fitting of extension pieces. Our standard version is now shipped in compact sections and can be stored flat to save space. Re-assembly is easy with four wingnuts and bolts to put it together. For the trade user we also have an adjustable PROFESSIONAL version available.